Both writer Steven Pressfield and Professor of Psychology Steven Pinker have stated in their writings that there is a quality of life that really doesn’t care about us. 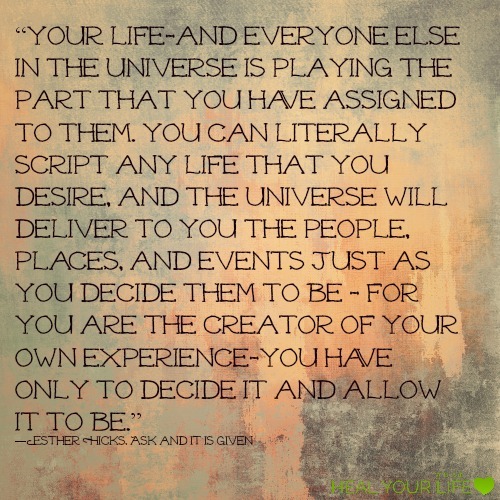 Namely the Universe at large. Steven Pressfield calls it “Resistance” in his book The War of Art. Resistance is always there and never goes away and completely impersonal and out to get you. In the interview with Steven Pinker on Think Big ” Is Human Nature Evil” says the Universe leans toward destruction and chaos rather than out to help you. I believe both of them. Both also give an antidote for the unknown, chaos and unpredictability of outcomes in our lives. Don’t live isolated lives, disorder and chaos automatically increase unless we use our energy to get the information we need to create a purposeful life. We must use our own intelligence and energy and effort to make things work out. Expect that things will go wrong and keep persisting in your path. Life is an uphill battle. It’s hard to not feel victimized by some of the dumb stuff that hurts you deeply. However, these statements are some of the hard realities in front of us. Most people will do anything not to look at some of the harsher realities but in my opinion the hard realities are easier to take in very small doses. So be gentle with yourself and take a step back. You will succeed in creating a wonderful life. I often say to myself how lucky I am. There are serendiptious events that happen to me all the time. Like getting the perfect parking spot, avoiding a disaster, not getting what I want. I usually shout ” I am the luckiest person in the Univerise”. No I do not have tons of money or fancy job or wonderful perfect life. On the contrary. I don’t have any of those things. I make lots of mistakes, I get scared, I make decisions with my heart instead of my mind, I fight with my gut feelings all the time. As deeply as I cry, I can be just as mean. I think everyone is as lucky as I am because there is a natural flow to life and if you take a look at those times when things worked out they way they were supposed to be, then you are truly lucky. Next time that happens shout “I am the luckiest person in the Universe”. 1. Infinite Being is All That Is. Nothing exists outside of it. Creation is holographic in nature. For example, the oak tree produces an acorn and yet the life-form of a complete oak tree is contained within the acorn. If a picture hologram is divided into two, both parts will retain the complete original picture. You are an expression of the consciousness of Infinite Being. Like a hologram, therefore, all that Infinite Being is, you are. At a soul level, you pre-plan each physical life before you enter it, choosing the themes that you wish to explore in that particular life. Your life’s themes are largely preset by your choice of parents, the time and place of your birth and the environment of your childhood. Many issues related to life’s themes unfold automatically from this initial setting. This pre-planning gives rise to the occurrence of related, meaningful events in life and the impression that destiny exists. Free will can be used to any degree that you choose. The most productive use of free will is to explore your true potential within the themes of your life, thus gaining the greatest possible experience from your life plan. Reflectance is a property of the universe. Life reflects your beliefs, emotions and actions. The stronger these are, the more apparent it becomes that life is a mirror of what you project. Every time you change the way you view life, the universe, like a mirror, reflects your new view of reality. Natural abundance comes from “getting into the flow,” by doing work that brings a sense of inner excitement. The phrase “Follow your inner joy” is actually the key to abundance. Once you follow your excitement and find yourself doing work that you love, then synchronicity begins to flow. Synchronicity is the universe’s way of telling you that you’re on the right track. It is a flow of events where everything clicks into place to support your efforts. It brings you opportunities, people, events and circumstances exactly when and where they need to be. When life flows naturally, the natural abundance of the universe follows automatically. Unconditional, holistic love is the answer to all of life’s challenges. You are here on Earth to learn how to love yourself and others, and to accept yourself and others completely and without judgment. Every person has a unique set of beliefs. While their beliefs will always be different to yours, they are best suited for that person’s need to gain experience in this life. Regardless of their outward belief system, it is the inner essence of the person that you recognize, love and accept. It is this unconditional love that will heal the world. Unconditional love and acceptance can be developed by the use of affirmations. The more often an inner truth is repeated, the more it becomes integrated with your outer personality. The most powerful of all affirmations is “I am Infinite Being” because it encompasses all qualities and all possibilities. The Infinite Being meditation uses the statement “I am Infinite Being,” both as a focus for the attention and as an affirmation to naturally enhance the quality of life. A wizard allows synchronicity to manifest. We cannot make synchronicities happen. It is in their very nature to occur “by coincidence”. We cannot control or manipulate the world in order to create synchronicities—their source is not of this world. Yet we can encourage their appearance; we can open ourselves to them. A wizard opens to synchronicity by following three basic principles. The first principle is that of wholeness. The more rested I am, the more relaxed my mind and body, the more in touch I am with my self, the more free I feel, the easier my soul, the more whole I am. And the more whole I am, the more synchronicity seems to occur. Conversely, when I am out of balance, tired, stressed, frazzled, wrapped up in concern or in some other way off center, synchronicity does not manifest nearly so abundantly. A wizard allows inner wholeness to be a priority. A wizard keeps rested, relaxed, centered and clear. A second characteristic of synchronicities is that they tend to support our needs. They seem to bring us just what we need, at just the right time. It is as if the Universe has my best interests at heart, and arranges for their fulfillment in ways which I could never have dreamt of. It is, to quote a renowned Indian teacher, “the support of nature”. We support nature by centering ourselves, and nature supports us back, providing the opportunities to fulfill our needs. This is what makes them so magical and remarkable—such a coincidence. However, if we do not know what we truly want or most need, or if two desires are in conflict, the synchronicities that manifest may not be in our own best interests. We may want something one day, have it the next, and not want it the day after. So before “cosmic choreography” can support us, we need to be clear on what it is we really want. The more we are in touch with our highest intention, the more we find that nature supports. Intention is not desire. Our desires are our beliefs as to how we might get what we want. We desire money because we think it might buy us greater peace of mind. We desire a mate because we think we will then be happy. Sometimes these ways work (for a while); sometimes they don’t. Sometimes something completely different may give us what we need. Cosmic choreography knows how to fulfill our intentions far better than we do. Our task is not to force the world to be a certain way, but to be aware of our underlying intention, and so provide a direction in which synchronicity can flow. And there is one more principle I have discovered. I can sit alone in my cottage in the middle of a forest, at peace in myself, centered and whole, and clear on my inner intention, yet here few coincidences occur. Significant coincidences nearly always seem to involve other people in some way. It is as if our interplay with others gives cosmic choreography greater opportunities to reach through to us. This is the third principle of wizardry—a principle I call “zipping and zooming”. Playing our part in the world, and allowing cosmic choreography to play its part. Although we may not be able to make synchronicities happen, we can create environments that foster their occurrence. We can create an inner environment of wholeness and high intention; and in our outer lives we can engage ourselves fully in the world, mix with the social field, go out and play. Play whatever game and role best fits our intentions. Play it with our soul, fully. Play it in whatever way brings us inner wholeness, enjoyment and fulfillment—there is, after all, no point in suffering while we play. These are the three principles of wizardry: Wholeness, Intention, and Zipping and Zooming. And if you need a mnemonic to remember them by, simply take their initial letters, W I Z—a wizard wizzes. The Universe and all it’s powers are ending my poverty. The Universe and all it’s powers are ending my isolation. I always have whatever I need. The Universe takes very good care of me. These affirmations are mine. You are welcome to change them to your preference. Write them 10 times each and repeat them many times during the day especially during the day and at bedtime, also in the mirror.